This is a program that is hosted by Central UMC that meets during the following time: 2nd Tuesday at 7:00 pm Room 108 (most weeks, please see sign at front door for changes in room location) This is a support group maintained and supported by the Michigan Lyme Disease Assocation that offers practical information and guidance for those infected by this disease. For more information, visit the Michigan Lyme Disease Association site. This is a program that is hosted by Central UMC that meets during the following time: 2nd Mondays at 7:00 pm Room 108 (most weeks, please see the sign at the front door for changes in room location) This is a support group maintained and supported by the Michigan Lyme Disease Association that offers practical information and guidance for those infected by this disease. For more information, visit the Michigan Lyme Disease Association site. 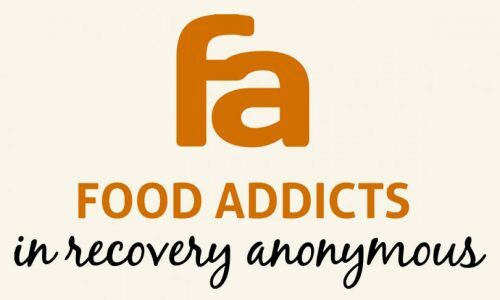 This is a 12-step program that is hosted at Central UMC during the following time: Saturday at 9:00 am Room 20 (behind building, lower level) A food addiction or eating addiction is a behavioral addiction that is characterized by the compulsive consumption of palatable (e.g., high fat and high sugar) foods. The types of food which markedly activate the reward system in humans and other animals – despite adverse consequences.